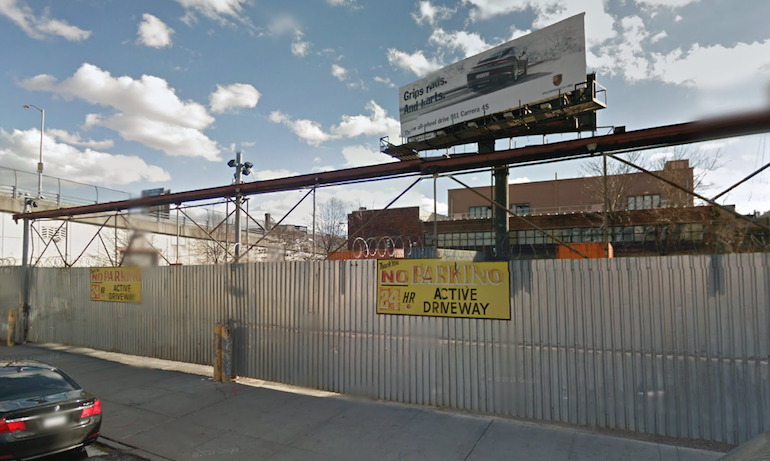 A new six-story, 50-unit project is in the works for 72 Box Street in Greenpoint. Located between Manhattan Avenue and McGuinness Boulevard, the building will be designed by Issac and Stern Architects, Brownstoner reported. The project will have ten apartments per floor, along with bicycle parking, 25 car parking spaces and recreational space on the roof, according to the plan exam application filed October 24th. The property, currently a garage, traded for $1 million in April, according to public documents. The lot was part of a package of six mixed-use buildings, acquired by an investment group led by Waterbridge Capital LLC. The other properties scooped up in the $27 million deal were 185 North 3rd Street, 170 South 1st Street, 626 Driggs Avenue, 280 Metropolitan Avenue and 290 Metropolitan Avenue, the New York Observer reported. The 72 Box development is across the street from the Box House Hotel and down the road from 48 Box Street, a six-unit development by HM Ventures Group. The “neo-townhouse-style” residences at 48 Box, priced from $635,000 for a two-bedroom to $899,000 for a three-bedroom, sold out within three weeks after launch in January.